Ten pounds of onions, chopped and bagged before breakfast: I’m cooking 40 quarts of turkey/andouille gumbo at the Battle for the Paddle today. Come out and see me (details here)….near the drinks booth, judges’ station, and the Luling Volunteer Fire Department, behind the blue and white “Fen Swann for Clerk of Court” signs. $5 buys all you can eat: more than 100 teams competing in gumbo and jambalaya categories. 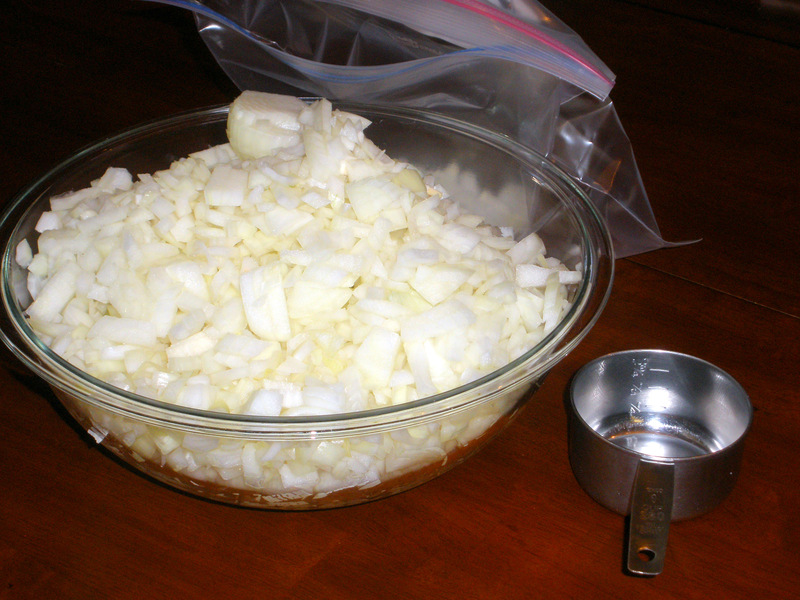 Don’t you just love the smell of fresh chopped onions first thing in the morning? Lol,,,,, It’s the making of a roux for that much gumbo that is the killer. Good luck! !